Opening a four-game series at Wrigley Field, the St. Louis Cardinals won the 1930 season’s longest game to move within 5½ games of the first-place Chicago Cubs. Andy High singled in Taylor Douthit to give St. Louis the lead in the top of the 20th inning, and reliever Syl Johnson, in his 12th inning of work, stranded the potential tying run at second base to secure the 8-7 victory for the Redbirds, their ninth in a row. After fouling off several pitches, English slashed a drive down the first-base line for what appeared to be a base hit, but Bottomley dived behind the bag, knocked the ball down, and rolled over so he could toss the ball to Johnson, covering first. The pitcher, however, remained on the mound, thinking the ball was past Bottomley and the game was over. Bell evidently thought so, too; he eased up rounding third and trotted toward the plate. Bottomley scrambled to his knees and threw to catcher Jimmie Wilson, who, after initially losing the ball, secured it in time to tag out Bell. Given new life, the Cardinals loaded the bases in the top of the 16th but could not push across a run. Sparky Adams led off with single, moved to second on High’s sacrifice bunt, and went to third on Bottomley’s single. After Showboat Fisher made the inning’s second out, George Watkins drew a walk to fill the bases, but Osborn struck out Wilson to end the threat. The Cubs mounted a threat of their own in the 17th when High Pockets Kelly led off with a single and Hartnett followed suit, Kelly stopping at second. Bell, however, grounded to third baseman High, who began an around-the-horn double play to quiet the incipient rally. Kelly had moved to third on Bell’s groundball, but Johnson retired Osborn to end the inning. After falling behind 8-7 in the top of the 20th, Chicago again opened the home half of the inning with a single as Hartnett collected his fourth hit of the game. After Douthit chased down Bell’s fly ball in deep center field, Hartnett advanced to second on a passed ball and was replaced by pinch-runner Zack Taylor.2 But Cliff Heathcote, batting for Osborn, flied out to Watkins in right field, and Blair followed with a fly to Fisher in left to end the game, 4 hours and 10 minutes after the first pitch. The Cardinals had built a 5-0 lead through six innings behind veteran spitballer Burleigh Grimes. Bottomley started the scoring with a solo home run in second inning off Chicago starter Pat Malone and drove in Adams with a sacrifice fly in the fourth. Bottomley also figured in the three-run St. Louis sixth. After High flied out to lead off the inning, Malone hit Bottomley with a pitch and hit Fisher, the next batter, as well. Bottomley then scored on Watkins’ double as Fisher held at third. Wilson drove in both runners with a single to left, with Watkins crashing into Hartnett at the plate as Danny Taylor’s throw arrived. Despite working on a shutout, Grimes was not exactly coasting; he had given up seven hits and walked five. The Cubs had baserunners in five of the six innings but could not capitalize, stranding seven and grounding into three double plays. Grimes had begun to tire, and in the seventh Chicago cut the St. Louis lead to 5-3. With two out, English doubled home Blair, who had reached on a fielder’s choice. Kiki Cuyler followed with a double to drive in English and, after a walk to Hack Wilson, scored on Taylor’s single. Grimes retired Kelly on a fly ball and did not return to the game. The Cubs tied the game in the eighth against St. Louis reliever Jim Lindsey. Hartnett led off with a single to right and Bell followed with a base hit to center, with Hartnett stopping at second. Rogers Hornsby, batting for reliever Lynn Nelson, grounded out to Bottomley but advanced the runners. Blair then doubled to drive in Harnett and Bell but was thrown out trying to take third; English’s ground out ended the inning. Osborn, who had come on for Chicago in the twelfth inning, gave up three runs on 10 hits in nine innings, walking two while striking out five. Johnson’s win evened his season record at 9-9, while the loss dropped Osborn’s mark to 10-4. As for the starters, Grimes allowed three runs on 10 hits in seven innings while walking four and failing to record a strikeout. Malone worked 6⅓ innings, allowed five runs on nine hits, walked one, and struck out three. St. Louis lost the next two games of the Chicago series — including a 13-inning affair the next day4 — but salvaged a split by winning the finale. The Cardinals then reeled off 20 wins in their next 23 games, clinching the pennant on September 26 with a 10-5 win over Pittsburgh at Sportsman’s Park.5 The defending champion Cubs finished in second place, two games out. In addition to the sources cited in the Notes, the author consulted the Baseball-Reference.com and Retrosheet.org websites. 1 These details come collectively from: a) Edward Burns, “Cardinals Beat Cubs, 8-7, in 20 Innings,” Chicago Tribune, August 29, 1930: 21; b) J. Roy Stockton, “Chicago 7, Cards 7 (15 Innings); Jim Bottomley Hits a Homer,” St. Louis Post-Dispatch, August 28, 1930: 1B; andc) J. Roy Stockton, “How Cardinals Won Thrilling 20-Inning Victory From Chicago,” St. Louis Post-Dispatch, August 29, 1930: 2B. 2 The Baseball-Reference and Retrosheet play-by-plays state that Taylor ran for Hartnett when the latter reached first base, before Bell flied out. 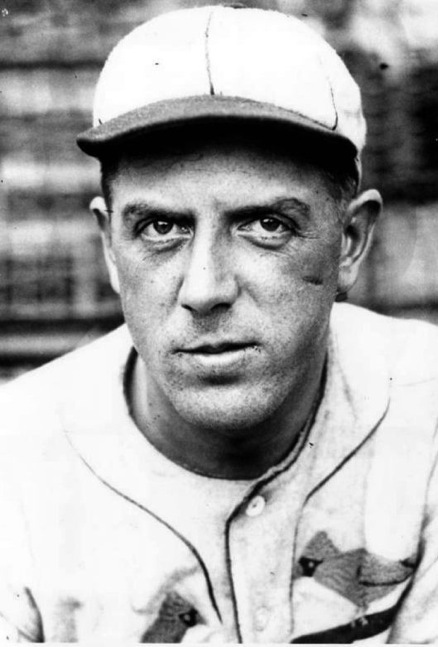 However, the accounts in the Chicago Tribune and St. Louis Post-Dispatch agree that Taylor replaced Hartnett at second base after the passed ball. 4 Edward Burns, “Cubs Tie Cards in Ninth; Win in 13th, 9-8,” Chicago Tribune, August 30, 1930: 13. Les Bell, whose leisurely baserunning proved costly in the first game of the series, redeemed himself by driving in the winning run. 5 J. Roy Stockton, “Redbirds Beat Pirates, 10-5; Score 7 Runs in Inning,” St. Louis Post-Dispatch, September 26, 1930: 1B.